FPA Patent Attorneys (FPA) is delighted to announce that the firm has been voted “Australian Patent Prosecution Firm of the Year 2019" and again ranked Tier 1 for Patent Prosecution by the internationally respected publication Managing Intellectual Property (MIP). The “Australian Patent Prosecution Firm of the Year 2019" award is based on results of client surveys and interviews conducted by MIP researchers concerning individual and firm IP work achievements, highlights, qualifications and expertise. FPA Managing Director and Principal James Cherry accepted the award on behalf of FPA at the official Asia Pacific award ceremony held in Hong Kong recently. "It is a great honour to receive this prestigious award given the comprehensive analysis done by MIP. 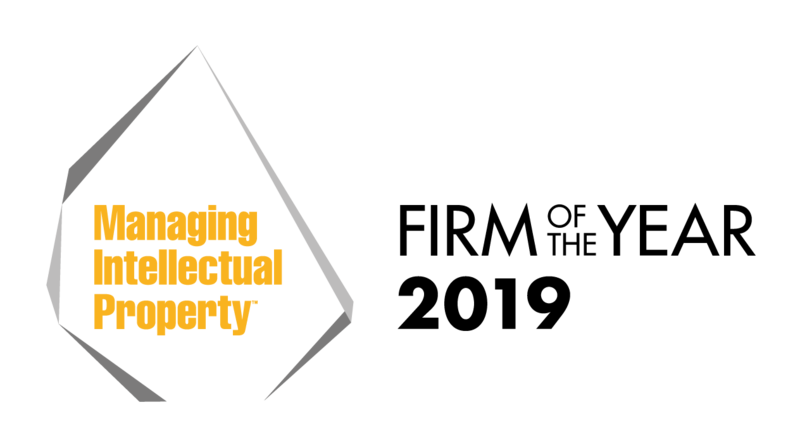 It's the realisation of our vision to be the best patent prosecution firm in Australia. It is also the result of our close focus on the needs of our local and international clients, particularly in the USA. I appreciate our clients' continued support and thank all of the team at FPA" said Mr Cherry. Managing Intellectual Property firm rankings are named annually after researchers based in London, New York and Hong Kong collect market feedback from thousands of practitioners and clients over a six month period, starting from September each year. 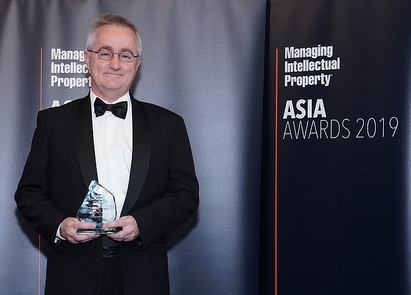 FPA Patent Attorneys Managing Director and Principal James Cherry accepts the "Australian Patent Prosecution Firm of the Year 2019" award at the MIP Asia Award ceremony held in Hong Kong.